The mangrove forests of the Florida Keys are an important part of the island’s ecosystem, acting as a nursery area for coral reef fish, a nesting spot for birds, a habitat for Key deer, and a protector of Florida shorelines. Their complex root systems filter water contaminants from the land and they play an active part in preventing erosion. 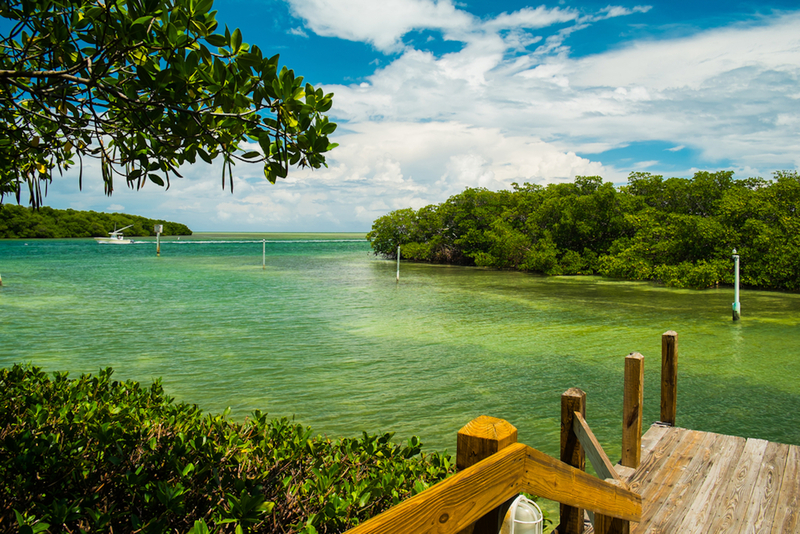 In short, mangrove ecosystems are amazing and Key West has plenty of them to explore. The best way to get around mangroves is by kayak, as their laterally-spreading roots create narrow and shallow waterways not suitable for motor-propelled boats. Visitors can paddle through inches of water to get a close look at the island’s unique mangrove biodiversity. Explore off the beaten path! Kayak through winding mangrove creeks for a totally unexpected island experience. We recommend Lazy Dog Adventures for your mangrove kayak trip. Simply rent a kayak for a half- or full-day outing, or take a guided tour to learn more about the ecological history of Key West. You’ll want to keep an eye out for wildlife during your kayak trip. Activity around the mangroves occurs both underwater in its roots and above water in its branches. Mangroves act as a resting and nesting place for birds, as well as an excellent feeding site. You may spot egrets, osprey, bald eagles, hawks, and great white herons, to name a few. Bird species dramatically diversify in the winter migration months. Underwater, you may see tiny fish swimming around the protective roots of the mangroves. These juvenile fish are enjoying the security of their marine nursery before they get big enough to live off and contribute to the coral reef. For nature-lovers looking for more information about Key West wildlife, we recommend a visit to the natural history museum of the island, the Florida Keys Eco Discovery Center. Admission is free, and guests leave with a greater appreciation of local wildlife. The center is located near Fort Zachary at 35 E. Quay St.
Want to get out on the water? In Key West, a day out on the water is always within reach. Book your hotel stay in advance at 24 North Hotel.